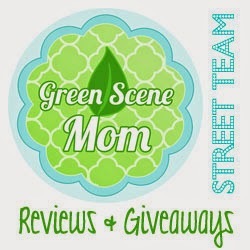 I am very excited to share this review & giveaway with you from ThanksMama. They sent me a Rumparooz OS diaper for review and one of you is going to get the chance to win one as well. I have to say that this brand is my all time favorite diaper! I have a top 2 and this is deffinatley number 1. I picked the Kangaroo print diaper and it is super cute! The print diapers retail for $25.50 and the solids are $23.50. The Rumparooz One Size Cloth Diaper has 4 sizes which are adjustable by the rise snaps on the front of the cloth diaper. The Rumparooz is the first one size cloth diaper that starts fitting at 6 lbs, no more waiting for your newborn to put on a few pounds before wearing cloth diapers! Available in both Snap and Aplix (Velcro) closure, the Rumparooz are a pocket cloth diaper system. Each cloth diaper comes with a "6•r soaker" which has 6 layers of absorbency and different size settings to best customize the fit and function of the Rumparooz for your child. The 6•r soaker is inserted in the pocket opening on the inside of the Rumparooz to make the cloth diaper absorbent. The Rumparooz cloth diaper itself is made of a waterproof 1000 thread count polyester interlock knit with a urethane laminate. The inside of the cloth diaper, which lies against baby's skin, is a scrumptiously soft microchamois which is 100% hypo-allergenic and no-pill. The inside of each cloth diaper is designed with 2 gentle internal gussets that channel each leg. No chance of escape for even the messiest or messes! Keep that cute outfit clean! The waterproof material on the Rumparooz is TPU, not PUL. PUL is a polyester fabric that has been laminated with a poly-urethane laminate using a solvent and chemical process. This process off-gases harmful toxic fumes that destroy the building that the fabric is produced in. Biodegradable TPU is solvent-free. Biodegradable TPU is a polyester fabric that has been laminated with a thermoplastic polyurethane using a heat bonding process. This process is low in toxicity and is better for the natural environment. Both the TPU laminate and the polyester fabric the laminate is applied to are biodegradable. When composted they will biodegrade in 4-5 years. I love everything about this diaper. I love the print, fit, inserts, and especially the double gussetts. What i think is the greatest part about this diaper is that it fits from 6-35+lbs so your newborn baby can wear this diaper from birth. The inside lining is super soft and will be very confortable on your babies skin. Want to win a rumparooz diaper from ThanksMama? Put your button on my blog. I entered the swaddle designs and tommee tippee giveaways. entered swaddle designs organic blanket giveaway.